In the business world, time definitely is money. When something in the office breaks down or needs maintenance, you could be spending a great deal of cash from lack of productivity as well as the maintenance expenses. Time is one of the most wasted attribute in almost any business dynamic. From employee downtime to those arriving late, your company needs employees working their set schedules. Every minute that someone is not being productive is money coming out of your organization. However, there are ways you can reduce these losses by making a few changes in your business procedures. Managed service organizations can maintain everything from computer networks to print services in Las Vegas. Usually, these third-party companies monitor your hardware and will take the time to perform routine maintenance. This has potential to greatly reduce prolonged employee downtime. This could also eliminate the need for in-house professionals depending on the size of your organization. For less than what you’d pay a full-time employee, managed service providers can keep your organization operational and cost efficient. Backup batteries can save on downtime by providing preventative measures. If there is a brownout within your building, damage could be caused to virtually any electronic device plugged in. Computer systems will often blow a power supply when something like this occurs. Although these units are usually inexpensive and easy to replace, the downtime from employees could range in the hundreds of dollars. Of course this is also dependent on how long the device is down. Many battery backups regulate the flow of power decreasing the risk to electronics. When repairs and maintenance on devices are needed, performing these operations after hours can prevent further downtime from employees. For example, new electrical wiring may require entire rooms to be void of power. If your employees rely on computers in Las Vegas to perform their tasks, these repairs could be a waste of a work day. 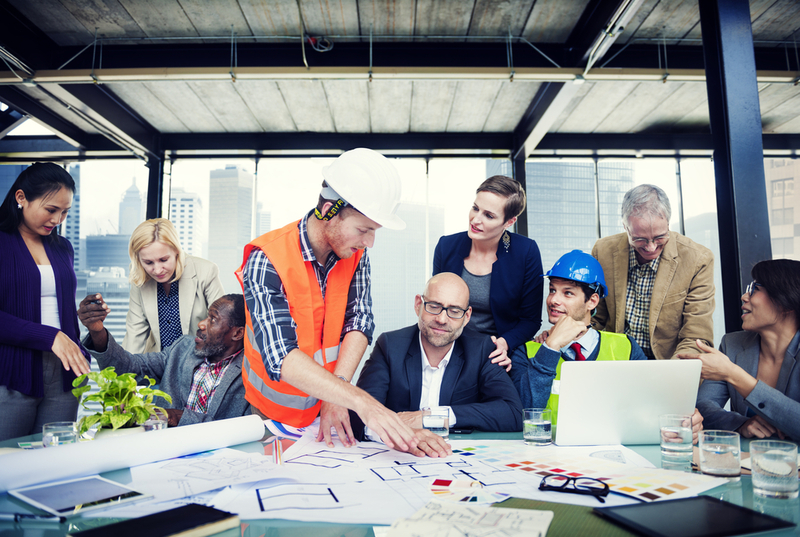 By scheduling repairs and maintenance after hours, you can reduce the impact on workers when construction or other intrusive services are required. Unfortunately, not all emergency repairs can be done according to a schedule. However, doing as much as possible when employees are away from their workstations can reduce lost productivity. 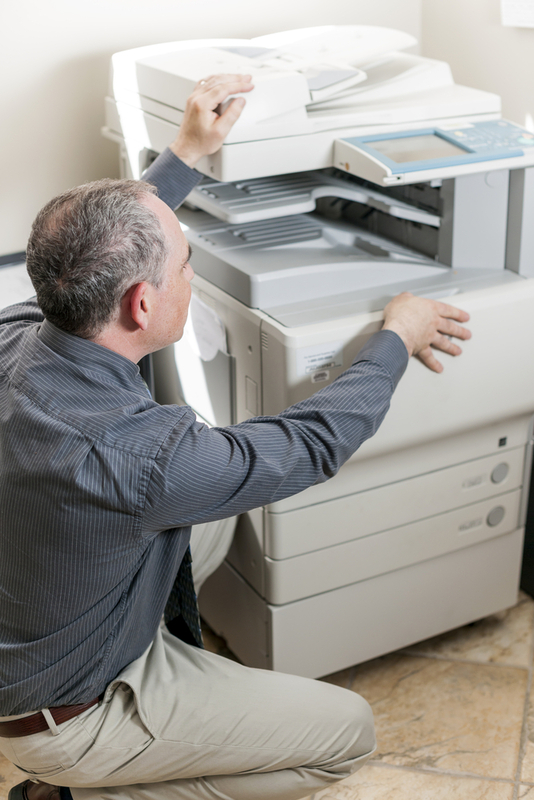 Sometimes you need a professional, but there may be times when you can fix your office copier yourself. If you can solve minor issues on your own, you’ll save your company money and be a hero around the office for a day. Depending on the problem, you may need to call in a professional for copier repair in Las Vegas. Sometimes, however, copiers just need a little love, and you and your office mates may be able to resolve the problem yourself. Try these tips and tricks before calling the repairman, but do so carefully and always call a professional when in doubt. Paper jams are a common copier malady and can often be fixed with little effort. Look in the paper tray and open any compartments and doors to see if you can find and reach the jam. If you can reach it, slowly and gently pull the paper out of the machine. Use a smooth motion rather than jerking on the paper and, whenever possible, pull the paper in the same direction the machine was feeding it. If the paper rips or you can’t reach it, it’s time to call the repairman. Regular cleanings of the paper rollers in the copier helps prevent jams, so schedule regular service to minimize downtime. If there are unsightly spots on your copies or lines running through the page, your copier scanner may just be dirty. Dust and correction fluid both block the light from the copier’s scanner and appear black on copies. This problem is often fixed by simply cleaning the copier glass with some window cleaner. If the same black spot appears every few inches on the page, it’s probably time for a new drum, so try changing it before calling for help. Poor print quality or faded print may indicate toner issues, so try changing the toner and see if the situation improves. If a good glass cleaning and change of drum and toner don’t solve your problem, it’s time to for a professional copier repair. If your copier overheats or starts flashing error codes you don’t understand, call for a repair right away so you can get the office back up and running as soon as possible. These problems aren’t likely to be fixed by you or your office mates. Managed print services don’t just ensure that copiers work and ample paper is on hand. Used correctly, these services make printing and copying more efficient and cost-effective. The managed print services in Las Vegas that are provided to many businesses and other organizations don’t exist solely for copier maintenance. Printing is an essential process in many organizations, and the goal of a managed service is to understand and manipulate this process in order to reduce costs and help employees be more productive. One of the first steps a managed print service will perform is an assessment of the print infrastructure that the organization has in place. Infrastructure refers to the entire print system and can be distributed or locally contained. In some cases, this infrastructure consists of a single multifunction business machine in an office with six people, and in other cases, it involves multiple copier stations, numerous workstations and a support staff responsible for keeping it operating. Using that assessment, the managed service can then make projections about usage and maintenance and then implement a plan to minimize expenses. Once the plan is in place, the service monitors the process, manages it and continues to optimize it through ongoing refinements. The service can even take over management on a day-to-day basis, which can eliminate the need for in-house support. Managed services help increase productivity by adding features, eliminating redundancies and doing more with the available budget. This can include proactively preventing potential print problems and ensuring that the necessary supplies are on hand without being wasteful or knee deep in overstock. Additionally, these services can ensure that employees have remote, secure access off-site to the full range of print and copier functionality that they have in their own offices. Recycling printer cartridges is one of the leading ways offices around the world can contribute to efforts to preserve our natural resources. Printer cartridge manufacturing consumes millions of tons of raw materials every year. Each cartridge includes plastic and other components that don’t break down in landfills, and yet hundreds of millions of them are thrown away every year. 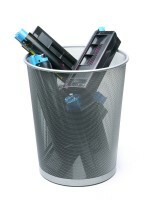 Your copy machine service provider makes it easier to recycle printer cartridges than throw them away. When you use a copy machine maintenance provider, arranging for cartridge pick up is extremely easy. Many providers will pick up cartridges as part of their routine maintenance procedures, but they won’t start until you request this service. Additionally, many will make an extra stop to pick up your stash of old cartridges if you contact them. In addition to being convenient, arranging printer cartridge collection with your Las Vegas copy machine experts is often free. In can be included in the cost of your service agreement, but it may also be offered independently of other services. It takes substantial natural resources to produce print cartridges every year. From raw materials to water and energy used in the manufacturing process, the environmental impact is measurable. Your office can contribute to efforts to make printing more sustainable by choosing to recycle used printer cartridges with their Las Vegas office machine service provider. Your recycled cartridges will be reused, saving the many resources that would go into creating a new one. With all this in mind, it’s easy to see the advantages of recycling your old ink cartridges. The brilliant minds of science are continually devising methods of improving on various concepts. Using 3D printers, researchers are developing the means to create housing, materials and food. Charles Hull first introduced the concept of 3D printing over 30 years ago. One of the first projects that the inventor ever created using the technology was a miniature plastic cup. Today, a wide variety of people use the devices to manufacture everything from mechanical parts to artificial limbs. Everyday consumers have the option of ordering objects from print services in Las Vegas. 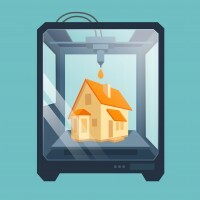 So what does 3D printing hold for the future? There are a number of ideas in the works. Engineers and scientists from the University of Southern California constructed a massive printer capable of building a 2,500-foot square residence in 24 hours. Layers are applied using a concept known as “contour crafting,” which ensures that all of the buildings have the necessary components for electrical and HVAC wiring along with plumbing. The Chinese Zhudoa Group developed their own version of printed buildings and have 22 patents on their technology. The homes and business structures that the company creates are guaranteed to be fireproof, waterproof and corrosion proof in addition to being able to withstand the effects of a 9.0 magnitude earthquake. Interestingly enough, none of the building materials include concrete. NASA researchers working with Stanford University scientists are working on a technique to use live cells to create non-living materials. Instead of using plastic-based mediums, the group uses a 3D printer to extrude living cells to form three-dimensional building blocks in a gel foundation. The cells would then be chemically stimulated to create usable items that might include bone, enamel or wood. The idea came from the knowledge that living cells currently create a wide selection of everyday items from cellulose and wool to rubber. Having the ability to shortcut the process would enable astronauts to manufacture many different items without have to exhaust cargo loads with bulky supplies.